The real question here isn’t exactly what causes Candida. Everyone has Candida inside the body already, mostly in the intestines and in the mouth as well. The question you really want answered is what causes the balance of Candida albicans to become disrupted, allowing it to grow, thrive, and cause damage within the body. Finding the root cause of your Candida overgrowth isn’t always easy, as there are several different factors to consider. This video SUMS it up. Make sure to watch this video by candida expert Dr. Eric Bakker. We’ll start with the use of antibiotics because it is one of the absolute most common causes of imbalance in the body, especially when it comes to Candida. When you become ill and your doctors diagnoses a bacterial infection, you are prescribed a round of antibiotics. Antibiotics are not discriminatory in nature. This means that they can’t tell the difference between the good bacteria that lives in your body regularly and the bad bacteria making you feel ill. As the good bacteria die, there is nothing holding the normal level of Candida in your body in check. The Candida now has room to grow, thrive, and multiply. Antibiotics in the form of medications aren’t the only culprit. Those of us who eat regular meat and dairy products ingest regular low doses of antibiotics in a regular basis as the medications given to cattle end up in our food. You can make it more difficult for Candida to grow and thrive, and easier for your body to fight infection, by purchasing organic meat and dairy products whenever possible. Because the Candida organism is a yeast, it needs sugar to thrive. The traditional diet, full or refined and processed foods, is the perfect fuel. Those who eat a diet primarily based on packaged products, starchy carbohydrates, refined carbohydrates and grains, white flours, candy, sweets, soda, and alcohol will have a much harder time keeping Candida in check. Foods that contain yeast or mold can contribute as well. This means certain vegetables, condiments, and even teas and coffees should be avoided. Oral contraceptives cause major changes within the female body and are a major contributor to the development of a Candida overgrowth as well. The contraceptive pill does two things – it alters the level of estrogen found in your stomach; and it alters the overall balance of estrogen and progesterone in your body. When it comes to your stomach and GI tract, this imbalance allows Candida to grow and multiply. Then, when it enters your bloodstream, it has plenty of additional estrogen to feed on. Other medications can contribute to the growth of Candida as well. These include inhaled medications (like those used for asthma), and steroids – oral, creams, inhaled, or tablets. Amazing in what it can do to your body, that is. Stress actually puts an incredible amount of pressure on your adrenal glands. Your body creates cortisol as a response to stress, but long-term stress means too much cortisol enters your bloodstream and your body’s immune system begins to suffer. 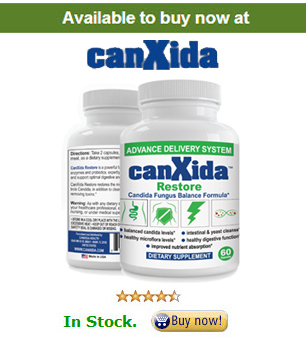 This makes it almost impossible to fight off a Candida overgrowth. The number of people who have adrenal fatigue either as a cause of or because of Candida is quite high, so both are usually treated. Those with diabetes are especially prone to Candida overgrowths because of the increased difficultly associated with regulating the level of sugar in the bloodstream. Diabetics who watch their diets and take their insulin regularly aren’t as likely to have a problem as those who are not monitoring or regulating their insulin intake and, as such, are allowing high levels of sugar in the blood. Chlorine is added to water to kill bacteria and other organisms. Drinking chlorinated water can impact the level of good bacteria in your body, especially if you already have a weakened immune system. Water filters and better laundry practices can help to reduce this exposure. Anything that alters your body’s natural homeostasis can contribute to a Candida overgrowth. Immune deficiencies – especially cancers and autoimmune disorders – put stress on the body. Alcohol contains more yeast and/or sugar than most people realize. Chemicals, pesticides, and herbicides – while touted as healthy – often cause disruptions within the human body. So now what? You suspect you have a Candida infection. You may have reason to believe one or more of the above is the cause. So what’s next? Start by testing yourself to confirm your symptoms are actually Candida.